When you contact us, we will work with you on every step from designing to installation. You don’t have to deal with drafty, dysfunctional windows any longer! Get a simple, hassle-free window replacement from the pros at Legacy today. 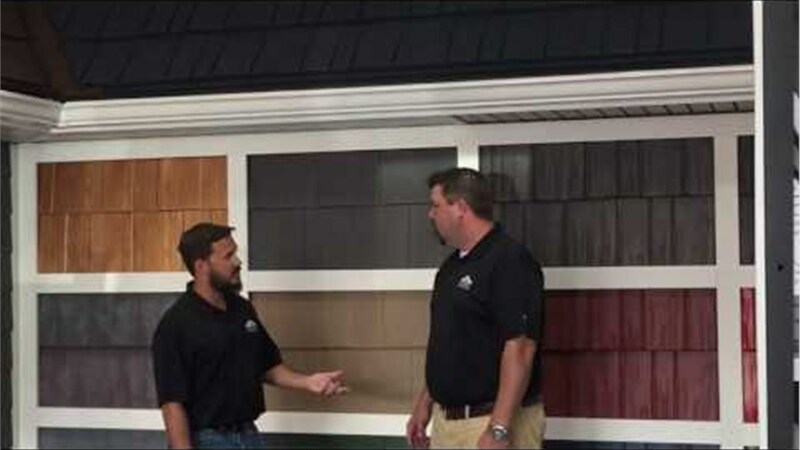 The experts at Legacy Remodeling install replacement siding that doesn’t chip, peel, or require routine maintenance while providing solid protection for your home. Show off your home to the world with a beautiful front door. The latest in roofing technology, metal roofs offer the traditional look of cedar and slate without the short lifespan. Enjoy the outdoors the right way by adding a stylish patio or deck to your home! If you’re sick of your outmoded kitchen, Legacy Remodeling can help you transform it into a haven for cooking. Whether you want a totally new bathroom, a tub-to-shower conversion, or a replacement bathroom vanity, Legacy Remodeling can help you complete your project with minimal hassle! We’ve been family-owned home improvement contractors since 1987, giving us an unmatched level of experience in the local market. So if you’re looking to upgrade your home to the level you’ve only dreamed of, get in touch with Legacy Remodeling today! Talk to one of our helpful representatives or fill out our quick online form to receive your free, no-obligation estimate!